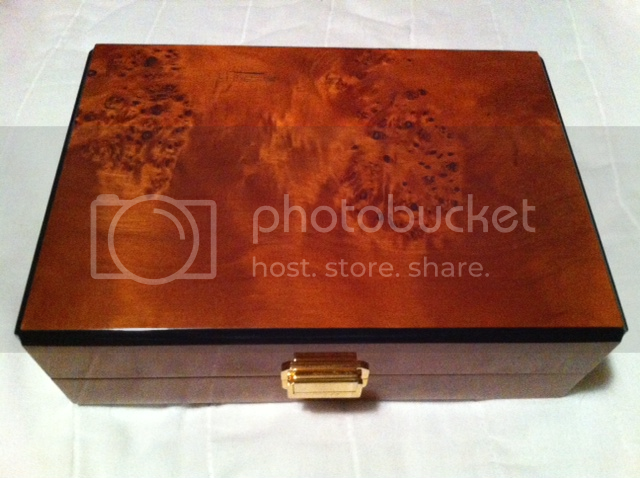 I recently received a watch box as a gift from a client who knows of my interest in watches. 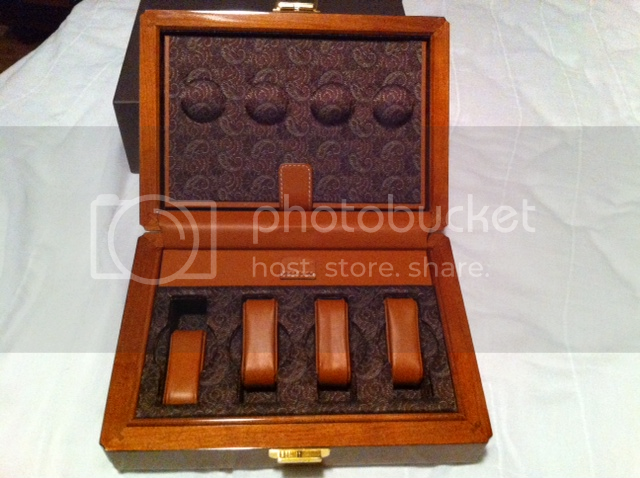 It has space for 8 watches (4 below and 4 above) and also has a separate compartment that I assume is for cufflinks. The box is made of a burled wood and is marked "Scatola del Tempo" on the clasp. I went to their website but couldn't find anything that looked like this. It's not a watch winder, just a watch case. I don't currently have 8 watches in my collection nor do i intend to. I'm thinking of 're-gifting' this but was hoping to get some more information before i decide. Anyone familiar with this particular watch case or could direct me to where i might find out more information, value etc?